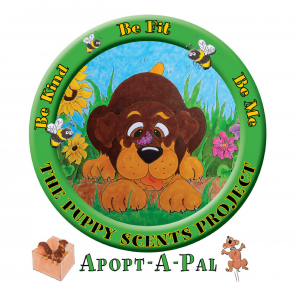 What is the Puppy Scents Project? 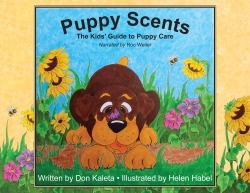 The Puppy Scents Project is based on Author Don Kaleta’s puppy training manual illustrated by Helen Habel, Puppy Scents, The Kids’ Guide to Puppy Care. 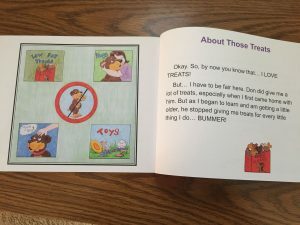 It’s not only informative about how to care for and train your puppy, but has a much broader purpose; Using the concepts of the little pup Roc’s story to bring awareness to children and adults alike as to the importance of three major issues in our world today – Be Kind, Be Fit, Be Me. 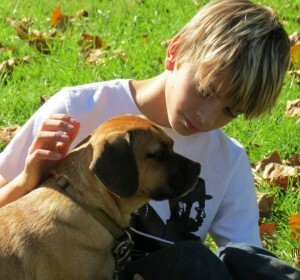 Puppy Scents is written from the pup’s point of view. When we take the time to listen to another’s point of view, we learn so much. It changes the way we react, what we say and how we feel. Understanding and respect for another’s point of view, allows us to create loving and forever friendships; while encouraging us to Be Kind and Compassionate to others, animals, nature and ourselves. 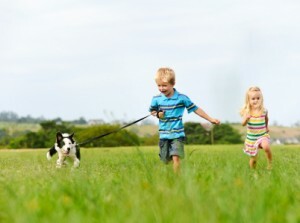 The Puppy Scents Project encourages children to create a friendship with a furry pal and for the sake of themselves and their pet to get outdoors and play as much as possible. It’s always more fun when you have a pal to join in on the fun! Roc wants kid to know that as long as they are not intentionally hurting anyone else in the process, they have a right to be who they are!